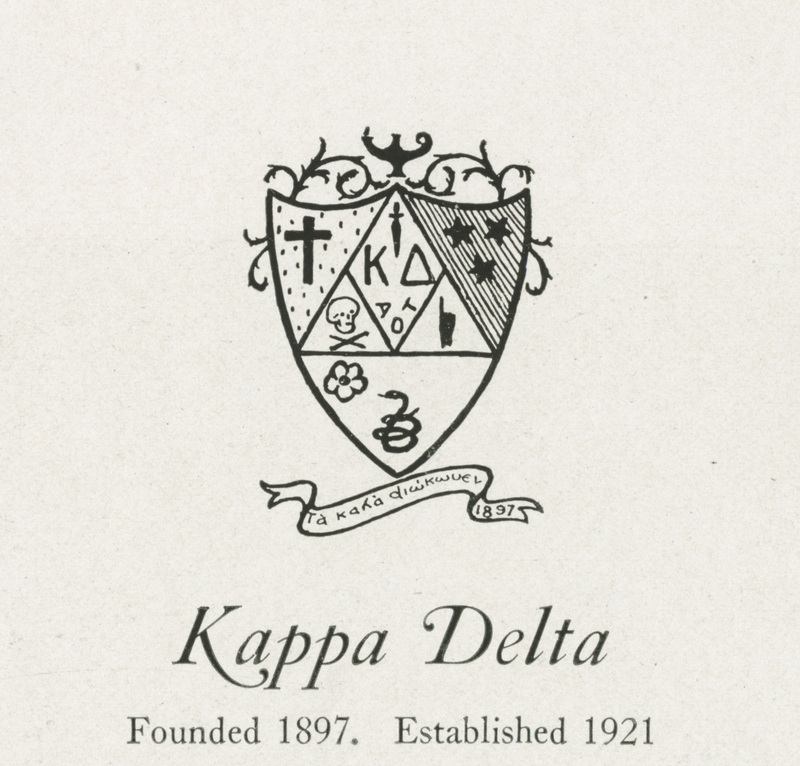 Kappa Delta was founded on October 23, 1897, at the State Female Normal School in Farmville, Virginia. Its colors are olive green and pearl white and its flower is the white rose. Penn’s Sigma Theta chapter of Kappa Delta was founded in 1921. It last appears in the 1994 yearbook.